Don't be a Couch Potato.. Come to Danefest! Come to Dogs Unleashed in Keller for Danefest 11 a.m. – 2 p.m. Today! It is a great opportunity to mingle with other like-minded people (i.e. people who will not think you are crazy for sharing your bed with 140lb dog)! We will be selling our soon to be world Famous Hamburgers and Hot Dogs! Read more about Don't be a Couch Potato.. Come to Danefest! Pre Registration Cut off noon Friday! How to Register at the Gate! DIDN'T PRE-REGISTER DON'T WORRY... Just call your vet for verification or current rabies, distemper and bordetella shots. Once you have a copy just bring it with you to Danefest... we will have blank forms at the Registration desk! Read more about Pre Registration Cut off noon Friday! How to Register at the Gate! There are NO FOSTER at Danefest... This is a big play date for personal, vaccinated, altered dogs. Sorry but we will not have any of the available foster danes at Danefest. Vaccinations.. all dogs must have PROOF of current rabies, distemper and bordetella. If you pre register we will verify with your vet... if you are not sure please call your vet and check TODAY so you have a chance to get a booster and current vaccination certificate to fax in or bring to Danefest. Read more about THIS SATUDAY is DANEFEST! Didn't get your raffle tickets? You do not need to be at Danefest to win! 64GB iPad with WiFi and 3G compatibility! You can buy them at Danefest or you can email [email protected] with how many you would like! It is not too lat e to pre-register and spend less time in the check in line! Go to www.danerescue.net/danefest and download the Release and Waiver, complete it and fax it to 866 214 3942 or email it to [email protected] Be sure your pup is up to date on rabies, distemper and bordetella vaccinations, spayed/neutered and doesn't have a bite history. Party like a Dane STAR! Only 1 week till Danefest! April 16th is the best big dog play date of the year! Where else can your big (vaccinated and altered) dog have a play date with this many big dogs? WHERE else will people be jealous of the dog hair on your clothes? and Where can you show off your big fur kid ? Danefest at Dogs Unleashed Dog Daycare in Keller! Read more about Party like a Dane STAR! Only 1 week till Danefest! LESS THAN TWO WEEKS TILL DANEFEST .. have you registered? April 16th at Dogs Unleashed in Keller! Danefest is a big dog play date! All breeds are welcome but we suggest that dogs under 40 pounds stay home as it can be ruff! More info http://www.danerescue.net/danefest and don't forget to complete the Release and Waiver of Liability and turn it in to [email protected] or 866 214 3942 to use express check in! Read more about LESS THAN TWO WEEKS TILL DANEFEST .. have you registered? Can you believe it.... April 16th will be here before you know it! So you have read all the info and thought... hmm that might be fun.... so go to www.danerescue.net/danefest to register and download the Release and Waiver of Liability and fax it to 866 214 3942 or email it to [email protected] .... By pre registering you will make check in the day of the event fast! This is a great way to support Rescue even if you can't come to Danefest! Buy a chance to win an iPad! 64gb Wifi & 3G compatable iPad brand new in package and a protective case. You do not need to be at Danefest to win.. we will call the winner and make arrangements to get the winner their iPad! Tickets are $5 each or 5 for $20! To get your tickets email [email protected]! Big Dogs, Big Play-Date, BIG FUN!! It is that time of year when we shake off the winter blues and get outside to play! Danefest is a great place for your big dog to shake off winter and play with other big dogs! Danefest is April `16th, from 11am to 2pm. 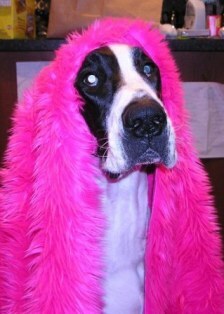 Danefest is a family friendly event hosted by Great Dane Rescue of North Texas at Dogs Unleashed in Keller TX. All spayed/neutered, fully vaccinated big dogs are welcome with their families… (nothing against small dogs but we do not want anyone to get hurt) Children are always welcome but they should be “big dog” savy or they may be overwhelmed. Read more about Big Dogs, Big Play-Date, BIG FUN!! The theme of the web site has been updated. The new look is a little more compact. The menu bar at the top has more room and there is a second level to it. Now there is room for links to "My Account" and "Log out". This should be the last of the dramatic look changes. From now on I will be able to focus on content and structure.